Clinic Synopsis: In this session we will discuss the transition from a traditional music classroom to a 1:1 classroom. In our first year of 1:1 there have been many struggles and victories, we look forward to sharing those with you to better prepare music educators for upcoming technology. We will overview google applications, iPad friendly apps and how technology has transformed our feedback as music educators. 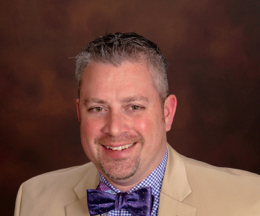 Clinician Biographical Information Lansing is the Assistant Band Director at Waukesha North High School in Waukesha, WI where he instructs the 7 time State Champion “Northstar” Marching Band, music technology, several ensembles, and online music courses. His experiences range from music levels K-12 to college student affairs. He is also the Director of Operations for Pioneer Drum and Bugle Corps where he manages public relations, online media, records and technology. Previously, Lansing was brass caption head, and his past drum corps affiliations include the Brigadiers as a performer, instructor and board member. Lansing is a 1994 and 2005 graduate of Syracuse University, with degrees in Music Education and Instructional Design, Development and Evaluation. He adjudicates woodwinds, marching band and winterguard regularly. Currently, his focus is in online learning, 1:1 initiatives, technology integration, and developing instructional media. He is pursuing a degree in Educational Administration from SUNY Plattsburgh. Second Clinician Biographical Information Greg Redner has been the Director of Bands at Waukesha North High School since 2009. 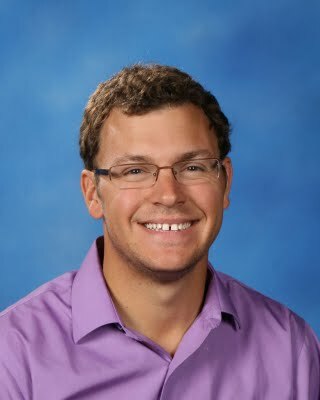 At Waukesha North, Mr. Redner oversees and directs three concert bands, a curricular jazz ensemble, the Waukesha North “Northstar” Marching Band, a pep band, and the pit orchestra. Under his direction, the Waukesha North "Northstar" Marching Band has won 5 consecutive class AAAA Wisconsin State Marching Band Championships and was selected to participate in the 2010 Macy's Thanksgiving Day Parade. Prior to becoming the faculty director of the Waukesha North Bands Greg Redner was the music caption head for the ensemble in 2007 - 2008. In that time the "Northstar" band won two class AAAA State Championships, traveled to the 2007 Pasadena Tournament of Roses Parade and the 2008 Macy's Holiday Parade in Orlando, Fl. Recently Redner has begun exploring technology use in a 1:1 classroom including the integration of iPads and other applications into the learning process.